Today is a very special day to many. In the second entry to the acclaimed Back to the Future trilogy, one Marty McFly travelled from 1985 to 2015 - specifically, October 21, 2015! Today, of course! We now have to accept that this movie is going to be one set in the past, even in it's futuristic setting, and that it's depiction of a high tech 2015 wasn't exactly as accurate as the end result. But hey, it got some things right. Enough of that...to celebrate today, I've decided to compile my most predictable and brief Worst to Best list yet! 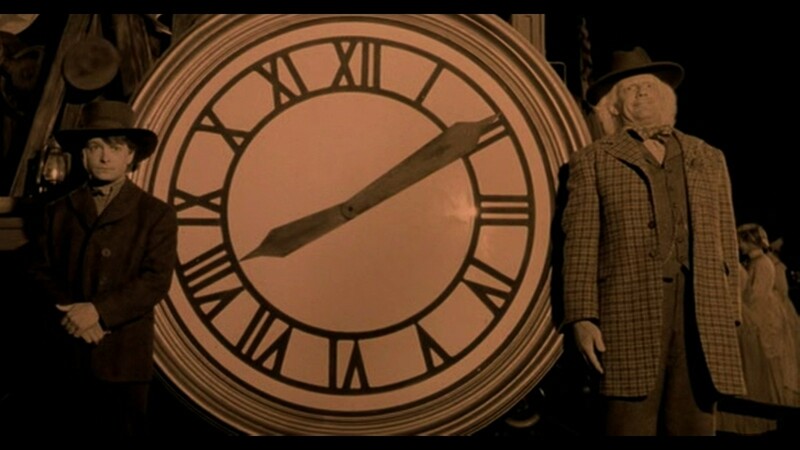 After the first film sent us back to 1955 and the second all the way forward to 2015, Back to the Future Part III decided to make the title's journey even more problematic by sending Marty McFly back to 1885; that's right, into the old Wild West. There, he of course encounters all number of typical cowboy trademarks, such as gangsters shooting at his feet, manic bar fights, and intense train chase sequences. Though in spite of it's ambitious nature and admittedly pleasing charm, this third installment of the trilogy is not as engaging as it's predecessors, predominantly because it just feels like we've seen all of this before and that the only new difference is the satire of a famous genre. It has the excitement, and there's still some clever structuring to the narrative, but it's lacking the memorable appeal of those who came before it and it seems like the formula had really dried up by the time this conclusion came around. An enjoyable watch, but nothing more. Back to the Future Part II is a little too clever for it's own good - and this results in a plot that's extremely ambitious but also rather convoluted. First, Marty McFly is taken into to today's date to rescue his future son from entering a world of crime, but his actions there lead to disaster when he returns to 1985 and inadvertently (as usual) gives a dangerous...well, sort of weapon to an old foe. The future 2015 is thus skewed into a new corrupt timeline, which must be fixed by going back even further to the past...and, well, I'll seriously be here all day if I have to sum it up to those who for some reason haven't seen it. Again, when you really get to grips with it, you can see how much thought went into the structure of the script, especially when it coincides with that of the original. The main issue is some gaping albeit unavoidable plot holes, which detract from the solidity and general purpose of the storyline, though it's not something you may notice when just chilling back for a general viewing. It's easy to ignore thanks to a charming cast and pleasing sense of humour, and so in spite of a few issues, I still find this to be a worthy successor to a much loved classic. 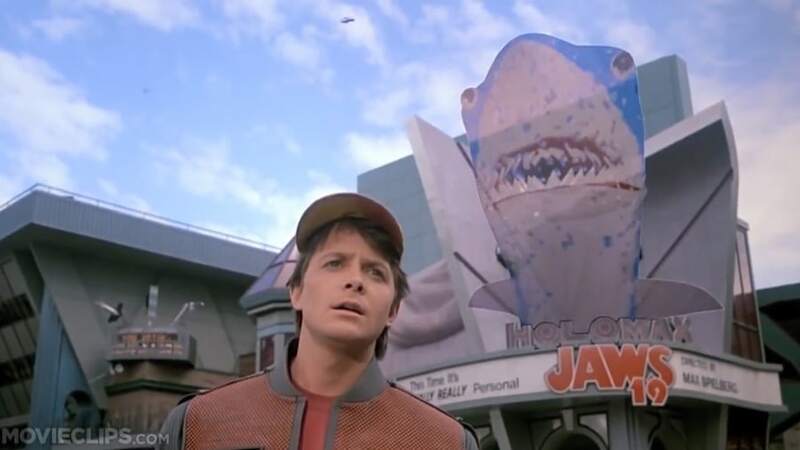 Nothing beats the original, that's for sure; Back to the Future is beautifully constructed from start to finish in terms of humour, adventure, and stunning special effects. Michael J. Fox portrays the rebellious Marty McFly when he is zapped back into the past, inadvertently damaging relationships with his younger parents and jeopardizing his future existence. He is joined by a lineup of fine supporting actors, including Christopher Lloyd as the beloved Doc Brown, as well as Crispin Glover, and Lea Thompson. What makes this film such a breathless experience is the subtle references that link both past and present, as well as the hysterical amount of murphy's law situations that Marty finds himself stranded within. It's a clever story at it's finest, but also one that's simple to follow thanks to a confident and well told approach - as a result, Back to the Future remains one of the industry's most iconic and outstanding summer blockbusters that any respectable film fan must see without question.